Harry the Dirty Dog is a loveable character who likes everything except bath time. Author Gene Zion and illustrator Margaret Bloy Graham invented the white dog with black spots, and the book, published in 1956, was an instant classic. The premise of the dirty dog story is quite simple: Harry doesn't like to get a bath and this characteristic leads him to get dirtier and dirtier by the minute. Many kids can relate to the pet's dislike for bath time and his hilarious adventure is one that is certain to stay in a child's fondest memories of reading. The story begins with a failed attempt to get Harry to take a bath. The dog buries the scrub brush in his yard and runs away, which leads him on one delightfully grubby adventure to the next. He starts getting dirtier as he plays in the street and reaches the railroad. He collects more dirt while playing with other dogs. After taking a ride down a coal chute, he looks completely different. When he gets home, he is completely unrecognizable. 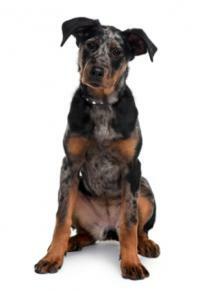 His black spots disappear into the coal dust and he is now a black dog with white spots. Although he tries to be recognized by his owners by doing familiar tricks, the only way to uncover his true identity is to get a bath. He digs up the scrub brush and finally is cleaned up. The story is ideal for children ages 3 to 8 years old and parents often find the story to be one of the most enjoyable books to share with their children, especially if it were a favorite of theirs when they were kids. The author and illustrator pair that invented Harry the Dirty Dog book and the adorable pet took great care in the making. The Children's Literature Research Collection offers information about Margaret Bloy Graham, the book's illustrator. She was born in Toronto, Ontario in 1920. She graduated from the University of Toronto in 1943 and illustrated her first children's book titled A Falling Down. Gene Zion, Graham's first husband, wrote the book. Although she had a successful career as a book illustrator, none of the other books she illustrated gained her the recognition that the Harry series did.Graham has the uncanny ability to take a child's perspective as she draws, taking special care to illustrate images that are important to children. Her drawings remarkably capture the charm and personalities of the story's characters. Many adult readers readily recognize Graham's illustrations at a glance. The artwork in the books may be among the most important aspects of the success of the Harry book series. 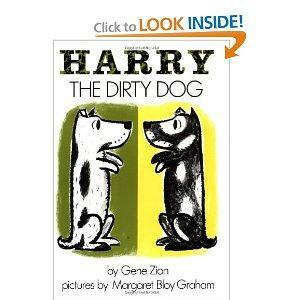 A few titles follow Harry the Dirty Dog on a number of different adventures. Harry by the Sea takes our furry hero on another adventure of mistaken identity when he becomes covered with seaweed during a day at the beach. No Roses for Harry! is a funny story about getting an undesirable green sweater decorated with yellow roses as a present and the great lengths the dog takes to be rid of it. In Harry and the Lady Next Door, Harry has had it with his neighbor's loud singing and he repeatedly gets in trouble each time he tries to stop her. Children can relate to each story through the thoughtful images and youthful storylines. Relatable stories are ideal because the help children to become interested in reading. Storytellers have developed stories for children that have universal meaning and using adorable animals is an excellent tool for grabbing a child's undivided attention. This may be why animal fables are so successful in delivering morals. Tales that "hit home" can easily be related to daily experiences and sometimes they can help kids triumph over challenges, including getting a bath.